Great northern beans and navy beans both fall in the category of white beans. 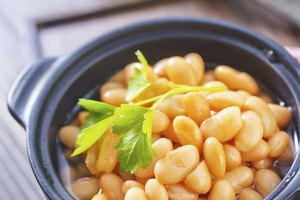 Although the great northern bean is slightly larger than the navy bean, they are used almost interchangeably in a number of soups, stews, purees, ragouts, dips and other bean dishes. Because the two are so similar, great northern bean soups and navy bean soups tend to be composed of nearly identical ingredients. While both beans are light in color and have similar consistency, the great northern bean holds its shape better when cooked, making it more suitable for dishes in which maintaining shape is important. It also cooks more quickly than the navy bean. Despite these slight differences, soups made from the two beans are highly similar, typically featuring bacon or ham, onions, celery, carrots, garlic and sometimes tomatoes or pasta. 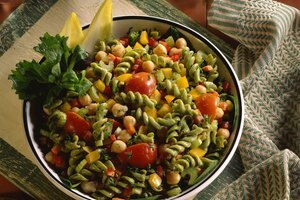 Great northern beans, navy beans and cannellini beans are often used reciprocally as additions to salads, dips, sauces, stews and other recipes. Both beans are mild in taste and easily absorb other flavors, making them perfect for soup bases. Navy bean soups tend to get their thickness from the navy beans dissolving through cooking, while great northern beans remain a more distinct component in soups, . Great northern beans are featured in many stews and soups, such as cassoulet, Portuguese bean stew and Serbian bacon, bean and cabbage stew. Navy beans appear in the famous navy bean soup, as well as in other soups and stews, such as Boston baked beans, navy bean and ham soup, navy bean and bacon soup and mixed 16 bean soup. Both beans may appear in chili, minestrone and chilled white bean soups. Great northern beans are related to kidney beans, while navy beans are more common. The navy bean gets it name, because it has been a long-time food staple for the U.S. Navy. Both navy bean soup and great northern bean soup are considered to be classic American fare. 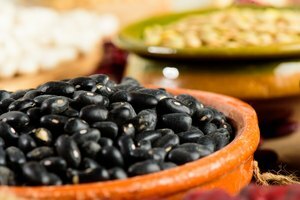 Navy beans and great northern beans are ultimately extremely alike. 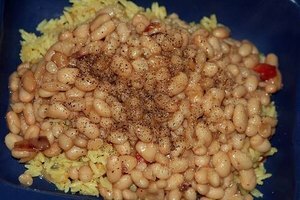 If you are whipping up a recipe that calls for navy beans, but only have great northern beans on hand, you can feel confident in substituting great northern beans into the recipe, and vice-versa.